30 day refund. 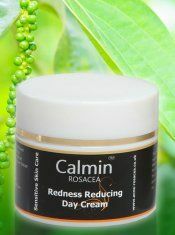 For the visible reduction of redness & Calming of sensitivity and flushing/blushing. Natural ingredients & plant extracts have been synergistically combined with the best of independent UK science for a holistic approach to the problems of hyper-sensitive skin. None of our products are tested on animals. Privacy / Terms	Built with Storefront & WooCommerce.